Cute Leather Loafers for Women! My Top Favorite Cute Leather Loafers for Spring! If you are also a girly lady, I bet you also like to wear cute leather loafers, am I right? I love them too, specially that they are very comfortable and stylish at the same time! A beautiful pair of leather loafers are perfect to wear at work or for going out too! I selected here a few of my favorite cute leather loafers for spring! They are colorful and fun to wear! *Of course I love pink leather loafers the most! It’s happy and full of beautiful colorful flowers! If you are looking for some beautiful fashion leather loafers made from 100% leather, I believe you are going to like this pair! I love this beautiful and unique magenta color, which looks like a deep pink, but it’s actually a mix between blue and red! This slip-on loafer has rubber soles, which are very comfortable. 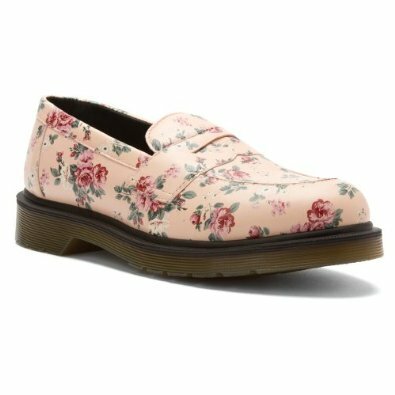 Are these pink floral penny loafers perfect for spring or what? They must be very comfortable to wear! I love that they have a small heel too..
Will make us a little bit taller! 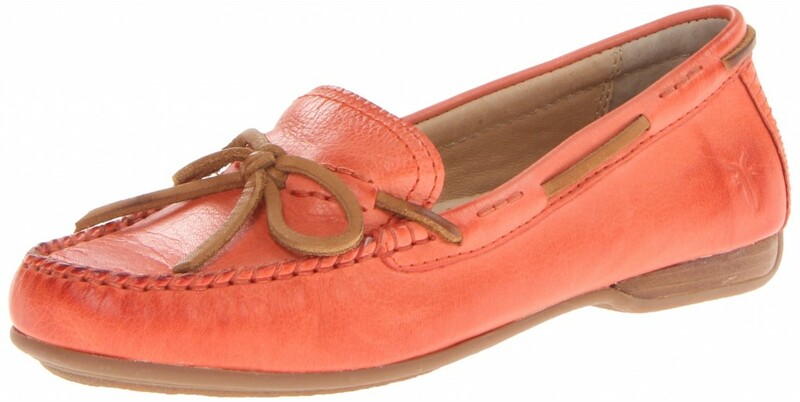 Beautiful FRYE coral leather loafers for spring! They are also made from 100% leather! Stylish Floral Leather Loafers for Women! How cute and girly are these super stylish floral moccasin shoes ladies? They are also affordable and among the cutest leather loafers for spring! Perfect for the girly office worker! Cute Leather Loafers for Spring! I LOVE turquoise and this is a fun turquoise slip-on leather loafer for women! Very comfortable and perfect for women with wide feet! Will go super well with a pair of jeans or white pants! What a fun pair of yellow leather loafers for sale! They are also super affordable and soft to wear! If you don’t like yellow, they are also available in 12 other colors! How about a Fun Pair of Zebra Loafers? Look what I just found ladies! Cute zebra leather loafers for sale! Besides awesome, comfortable and very unique, they are also very affordable! They are also available in 35 other colors and designs! 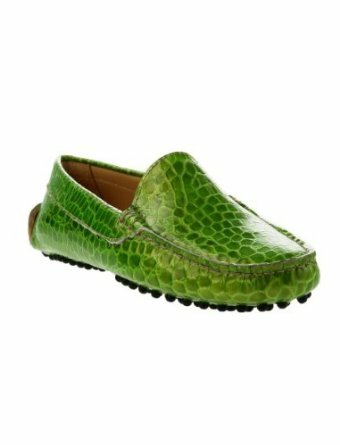 I had to show you these very unique green leather loafers! Green is also a great color to wear for spring! How about a cool pair of leopard leather slip-on loafers now fellow girly ladies? They are fun, classy and stylish! They are super comfy and perfect to wear with basically any outfit! Great gift idea for wives and daughters! 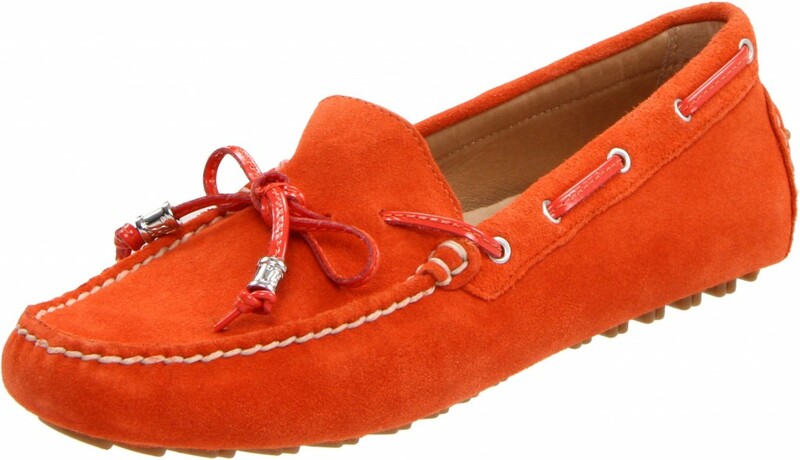 Bright Orange Leather Loafers for Women! These are also among my favorite colorful and stylish leather loafers for spring! I LOVE this fun bright orange color! Very comfortable to wear too! They will put a smile on your face right away the minute you slip your feet on them, I guarantee!